Wine is hardly in the limelight in this city, eclipsed as it is by the ubiquitous Kölsch culture. Now, though, there’s not just special wines on sale in Cologne, but also wines from Cologne. Stadtkellerei IMI has just appeared on the scene as Germany’s first urban estate. The masterminds behind the scheme are the young winemakers Jonathan and his wife Svenja and their friend and business partner Kai. The philosophy? 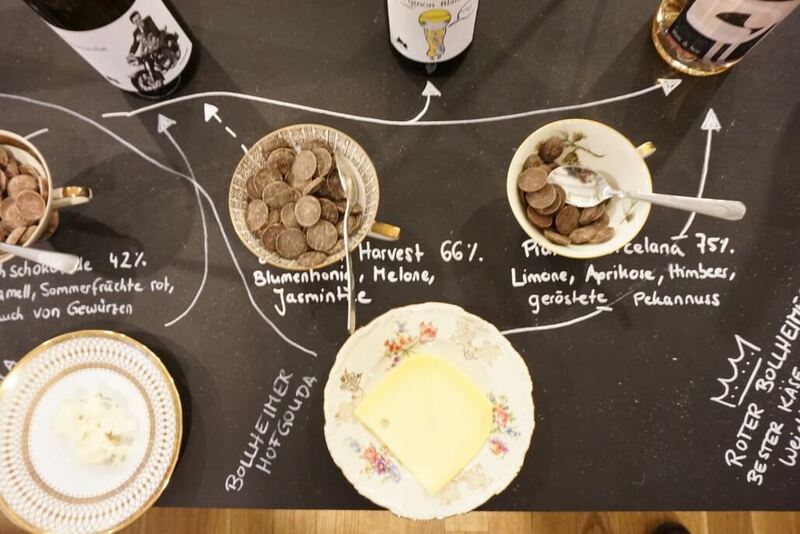 To produce wine in the heart of the city, offer tastings in the estate’s very own wine bar and store and in doing so, give customers an opportunity to witness the winemakers work their magic. They want to make the process transparent and invite wine lovers to become part of it. When buying wine in supermarkets, Svenja says, customers only have the label to go on but don’t know anything about what’s in the bottle. With their wines, they can learn about the people behind the wine. So what’s their story? 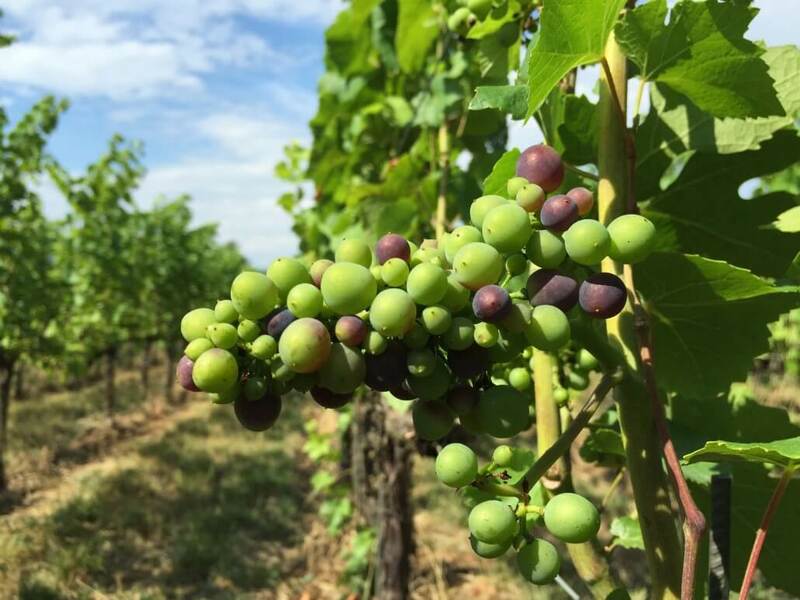 As a child, Jon emigrated with his parents – his father was a winemaker too – from the Palatinate, one of Germany’s prime wine growing regions, to the United States. He later followed in his father’s footsteps and worked in vineyards on the East Coast and in California (as well as in France and China). During his time in the sunshine state, the experienced young winemaker joined an Urban Vine project in San Francisco. Today there are similar initiatives in New York, Vancouver and Melbourne, says Jon. I ask him why he chose Cologne of all places for this project and not, say, Berlin. Because Cologne’s a great place for it, he responds. 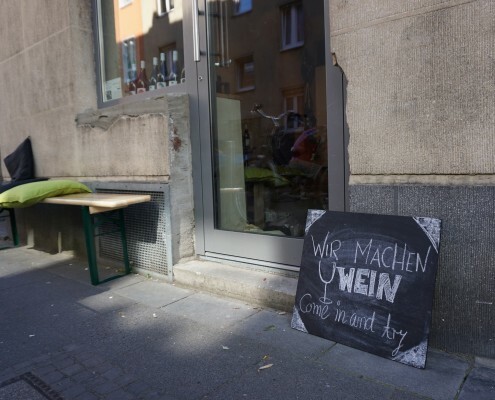 In Berlin the idea would have been just as welcome, he says, but in Cologne the business has long-term prospects because Colonians have embraced his idea with passion and enthusiasm. Jon’s family’s estate is in Maikammer in the Palatinate. In 1999 he and his father established the first vineyards across three hectares, an area he plans to expand soon to between six and eight hectares. What he doesn’t grow himself he buys in from other winemakers and uses the grapes to compose his outstanding wines. Yet there are no plans for real expansion, he says; he wants to maintain a high quality standard. 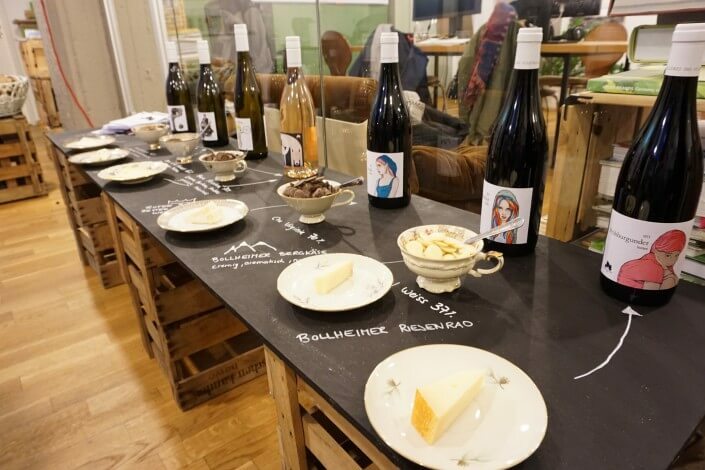 Speaking of quality, Stadtkellerei IMI’s seven premium wines are made from hand-picked grapes and almost all are certified organic. As I listen to Jon talk about his wines and sustainable winegrowing, I realise that this man really knows what he’s doing and that he does it with a passion. A passion for long-term thinking, a respect for nature, minimal intervention, the terroir, intelligent cropping instead of pesticides, natural yeast, and wild yeast fermentation. Incidentally, the enterprising concept arose years ago during a BBQ party. Jon wondered aloud whether it made sense to want to be a winemaker in the city. 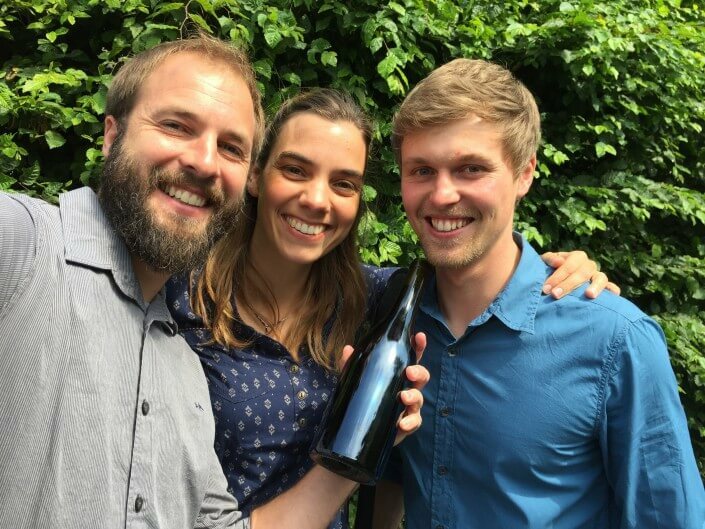 A few discussions later, Kai wrote about the urban winery concept in his final thesis, translated it into a business plan and submitted it to a business plan competition in 2015 – and took third place. Responsibility for the wine’s public appearance lies with Svenja, a media designer by training. Her gorgeous labels feature street art on walls across the city. 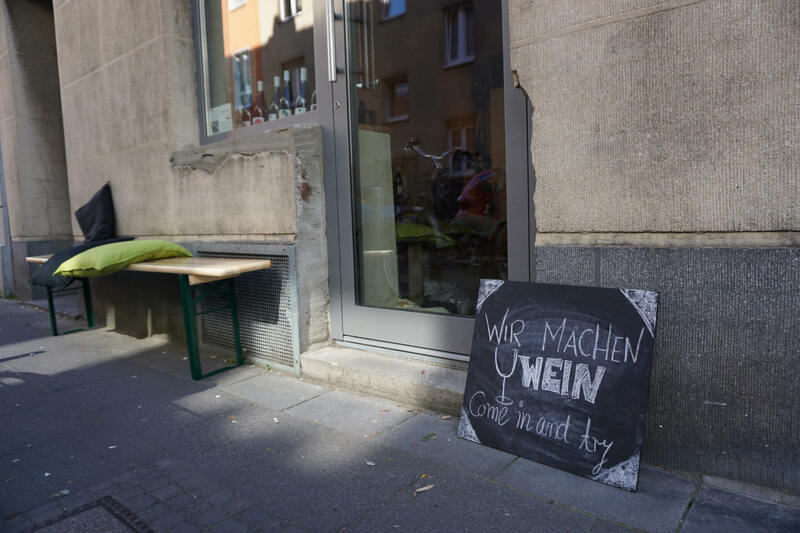 Before the trio moves into a new fixed abode in Cologne at the end of the year, the business will remain in its seasonal home in Ehrenfeld’s Körnerstrasse. This is where Stadtkellerei IMI sells its wine and offers regular wine tastings with cheese, chocolate and other delicacies. Plus a chat, of course. IMI’s seven wines are also available online, at Weinwoche festival in Rheinauhafen (12-21 August) and during Lange Nacht der Weine on 22 August at Jack in the Box. 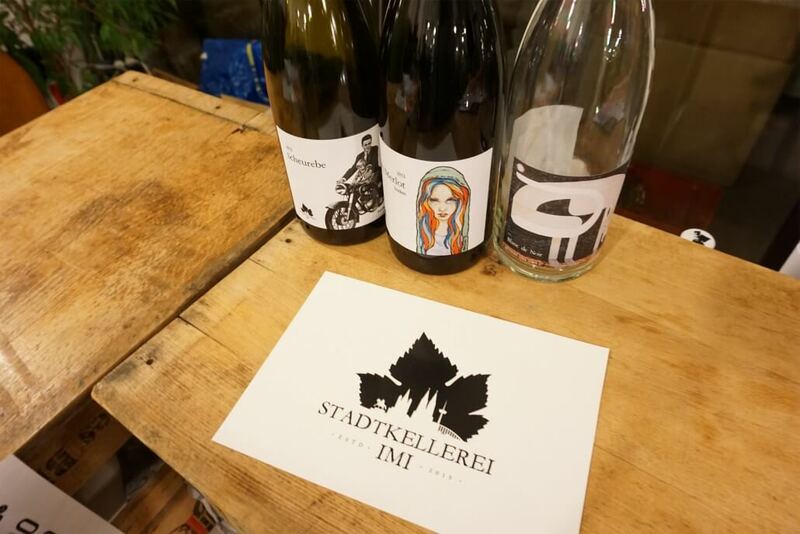 By the way, Stadtkellerei IMI recently took part in a “battle of the grapes” at moxxa Cafébar where it competed against the established Reverchon estate from the Saar region. Wines from both estates will feature on moxxa’s menu until the end of May. 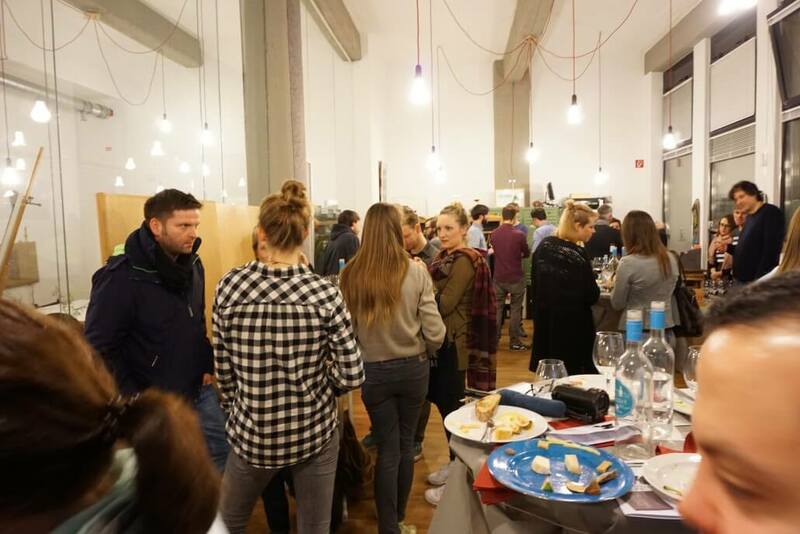 As they want to involve Cologne’s residents as much as possible in the production process, Jon, Svenja and Kai are planning to invite some of them to travel with them to the Palatinate for the harvest. What a great idea! I’ll definitely be there.